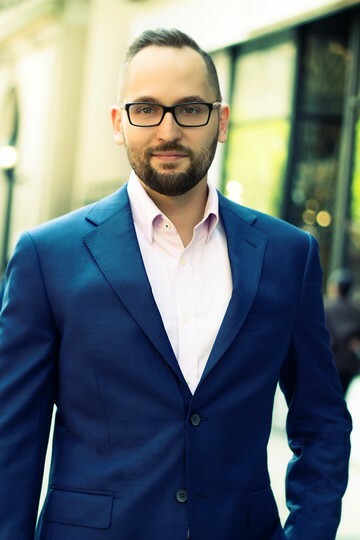 With his finger on the pulse of New York City living and a history of delivering elite client service, Rafael is a dynamic real estate professional who strives to make each engagement both enjoyable and successful. Drawn to the industry by his deep love for the city, Rafael is a passionate New Yorker who strives to help others find their perfect city home. "After more than a decade in New York, I still find it fascinating how the city manages to change and evolve while always maintaining its charm and excitement," he says. "That, combined with the history and architecture, provides endless motivation in my real estate work." Rafael came to real estate after successful, customer-facing roles in the city's demanding hospitality industry. There, he learned the fine art of building rapport, creating solutions and really listening to what clients want. These skills, combined with his unfailing sense of integrity and excellent communication, make him an engaging, detail-oriented and accountable ally, specializing in Manhattan's Midtown and Uptown neighborhoods. A native of Tampa, Florida, Rafael is proud of his diverse family background that includes Puerto Rican, Greek, Italian and Venezuelan influences. He's a former comedic and improve performer with an unending passion for new experiences in travel, culture and food.